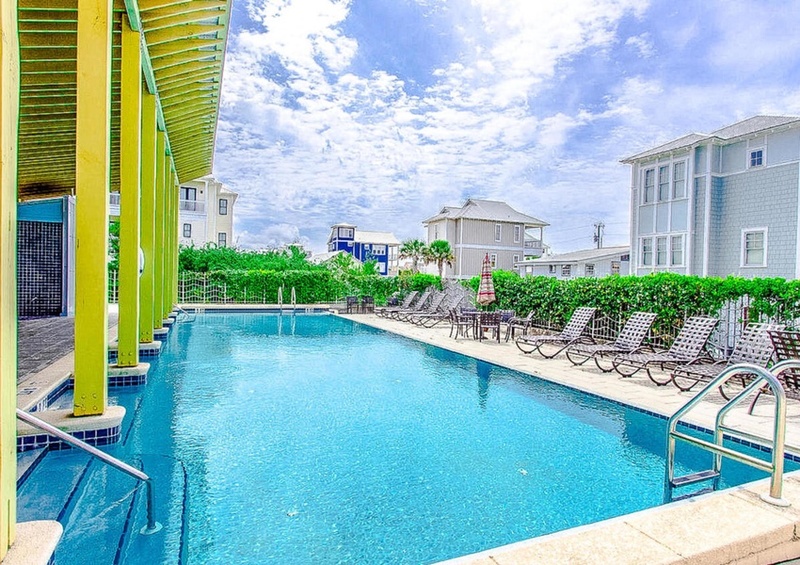 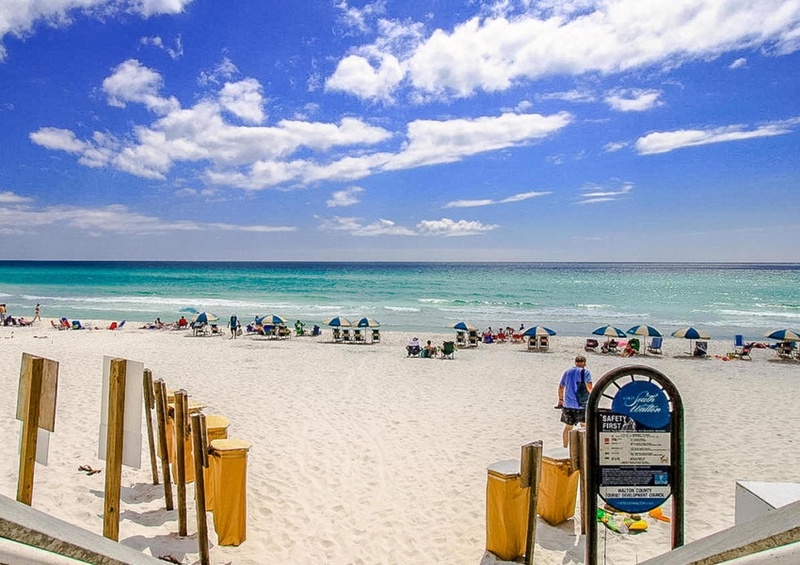 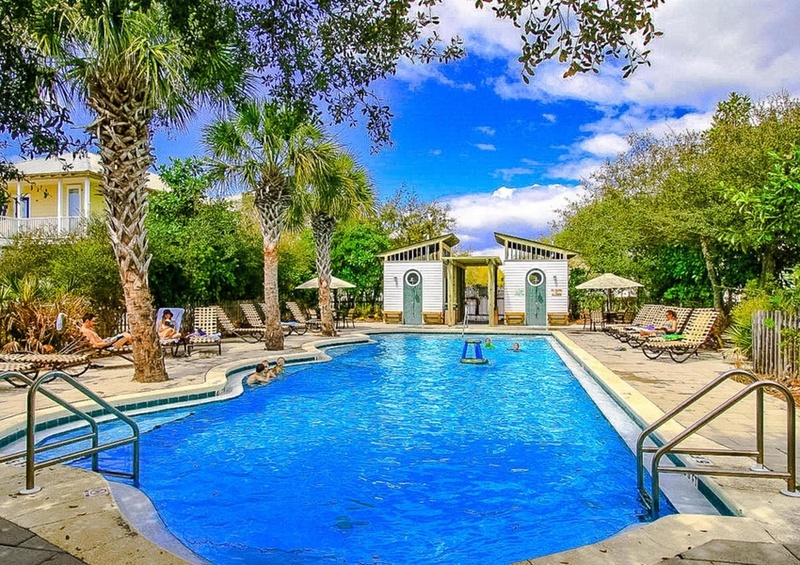 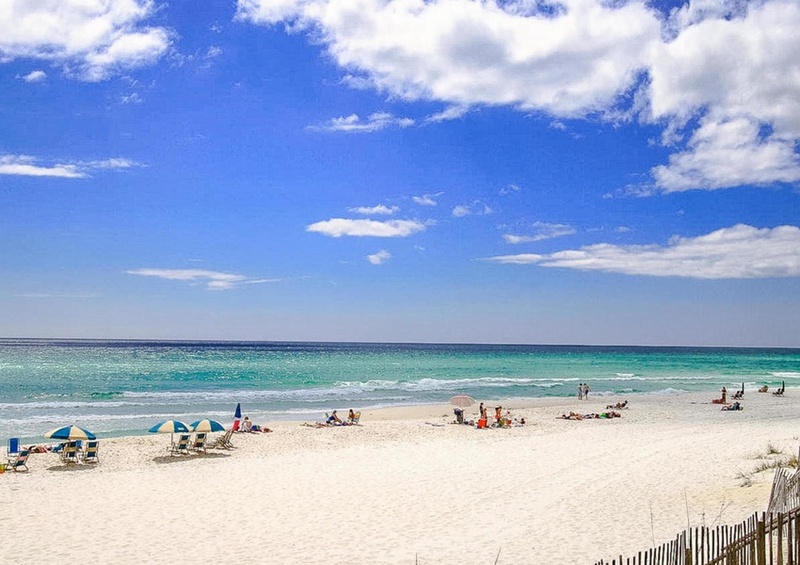 It’s all about the beach at All About The Twins in 30A by Southern! 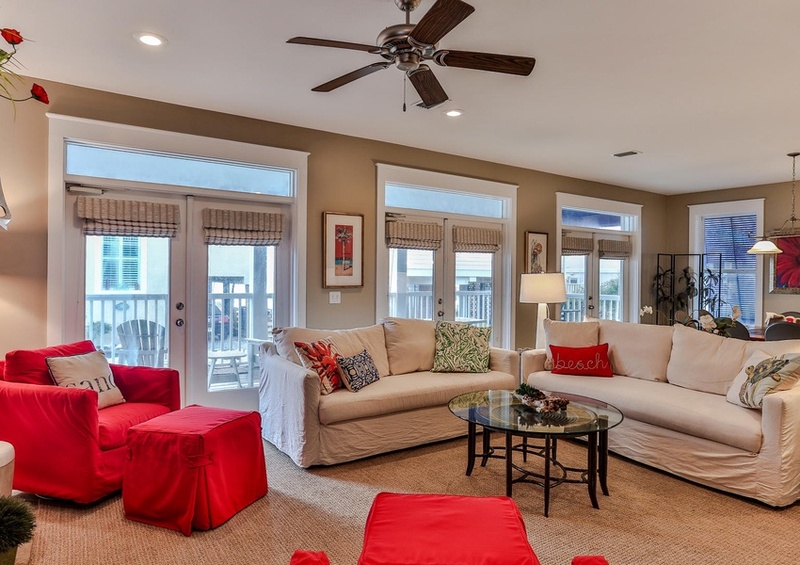 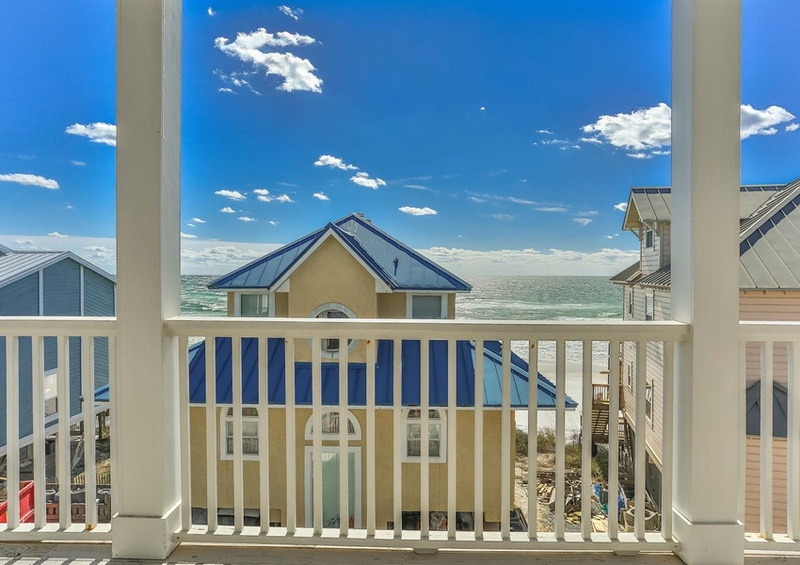 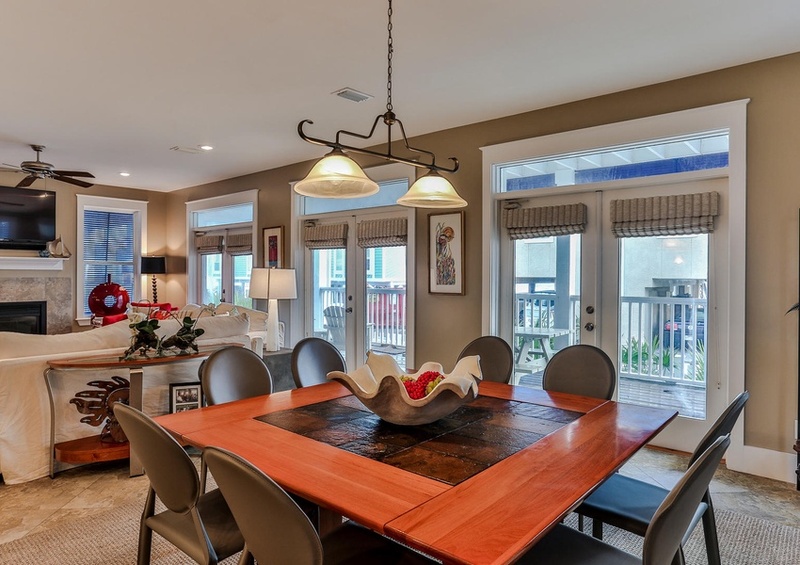 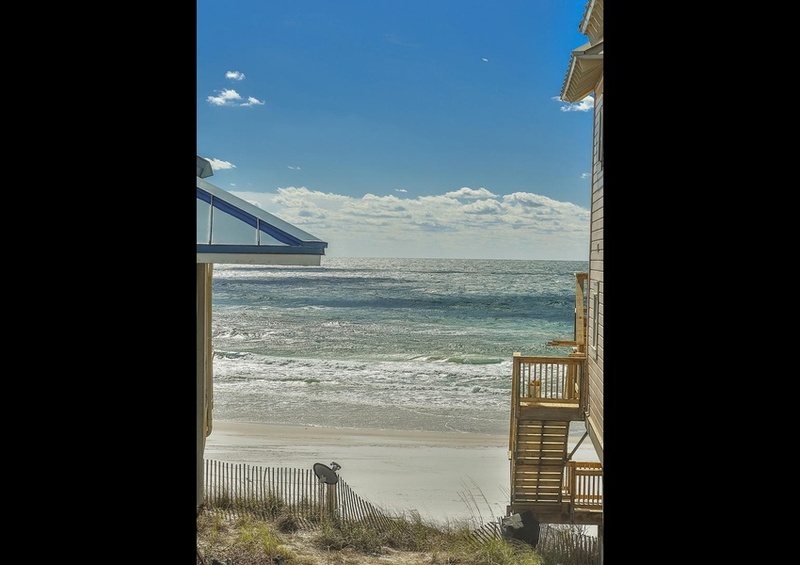 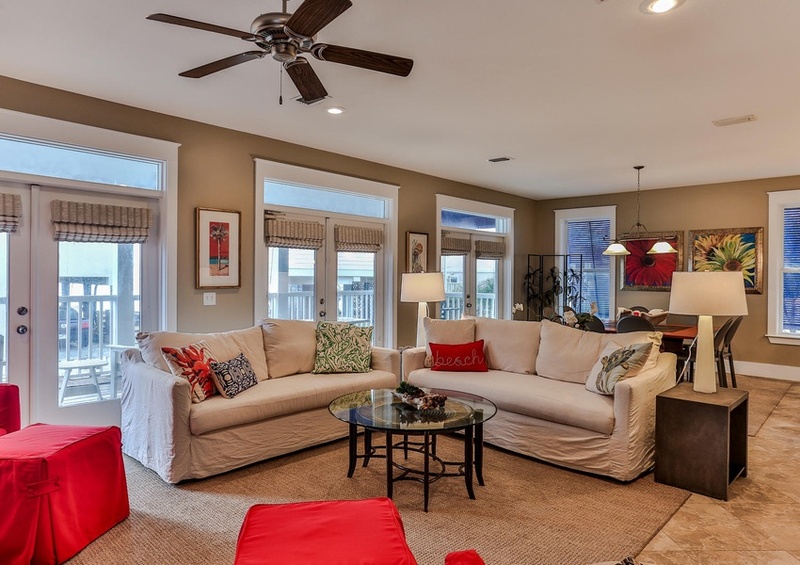 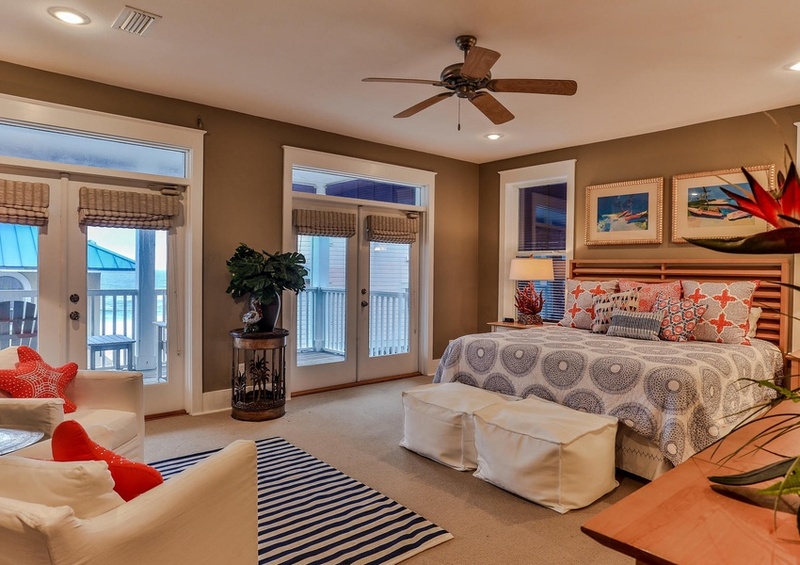 Invigorate your spirit with the soothing breezes and sea salt mists of the Gulf in this beautiful home. 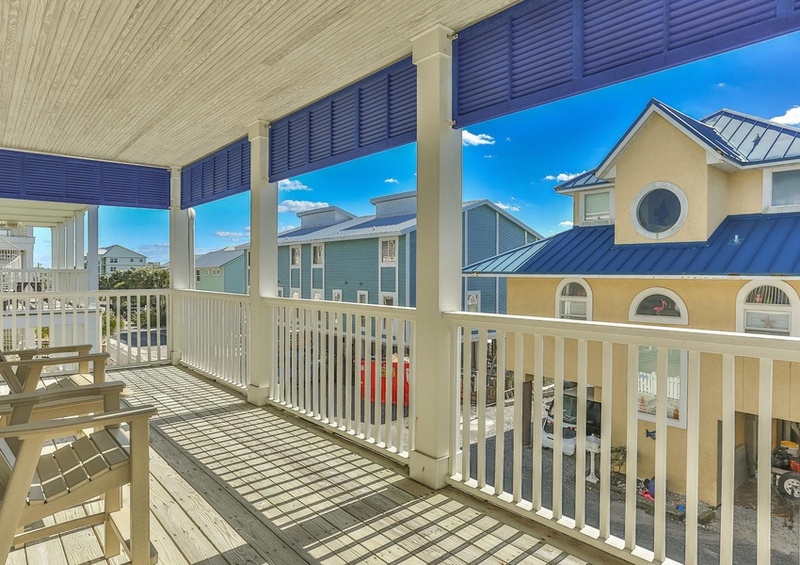 You’ll know you’ve arrived to your dream vacation home when you see the cozy white picket fence and sky blue shutters. 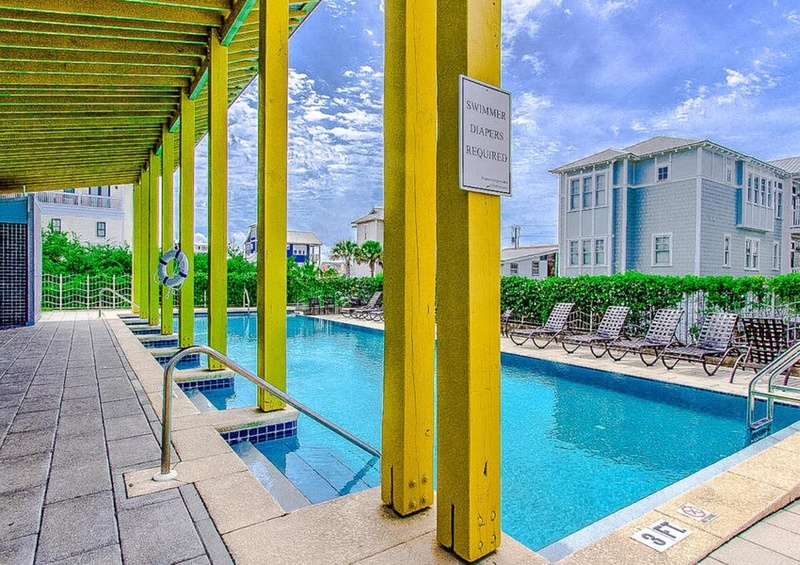 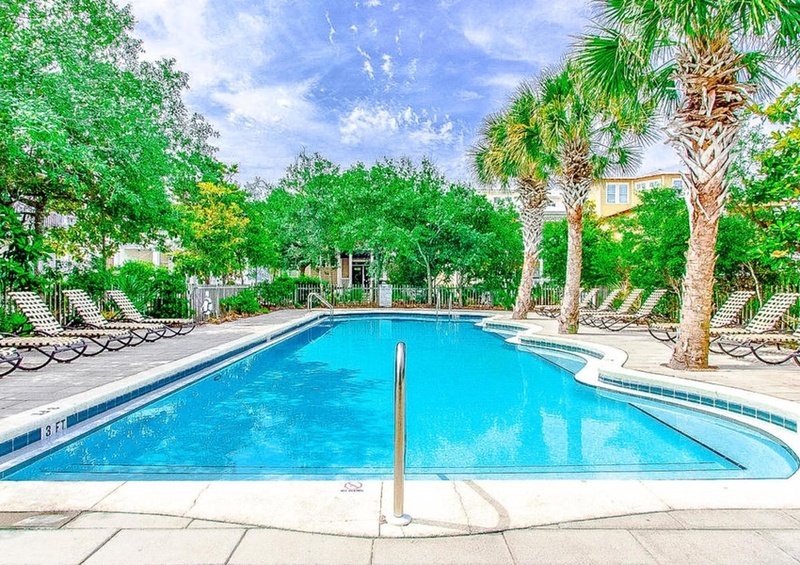 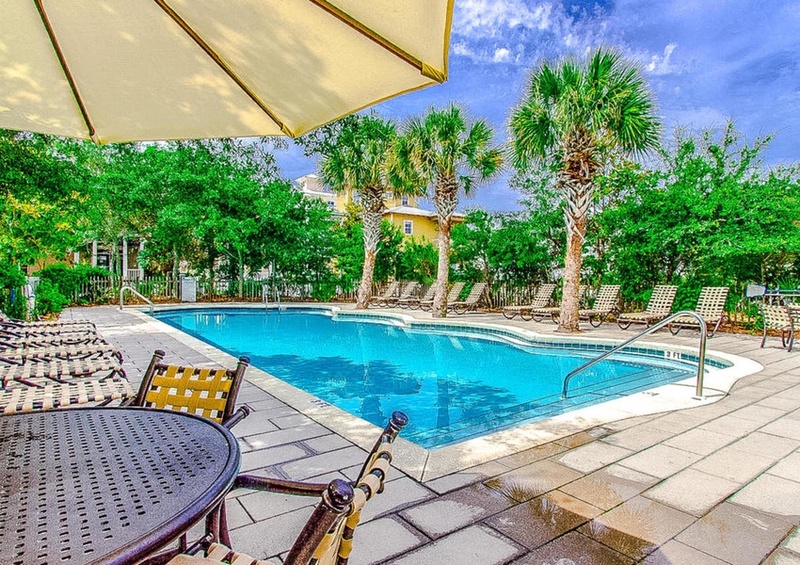 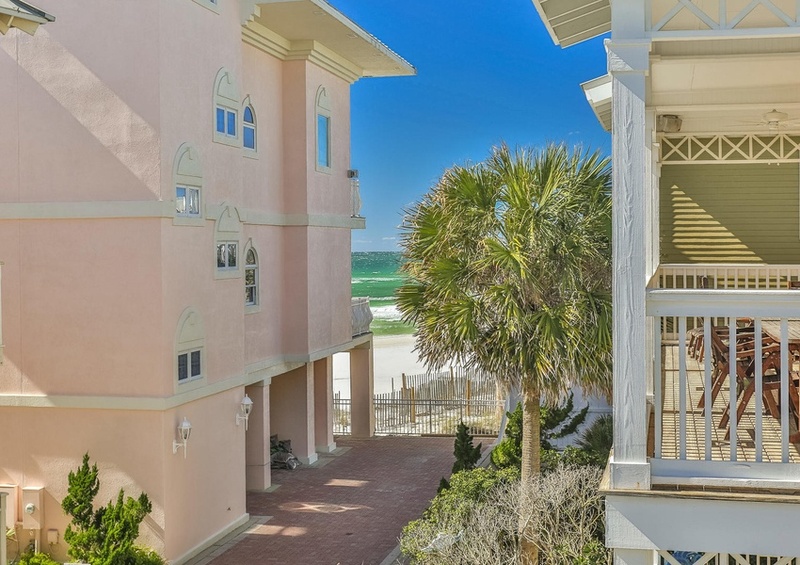 Immaculately manicured Florida palms ornament the yard and your few steps to the sugar sand beaches. 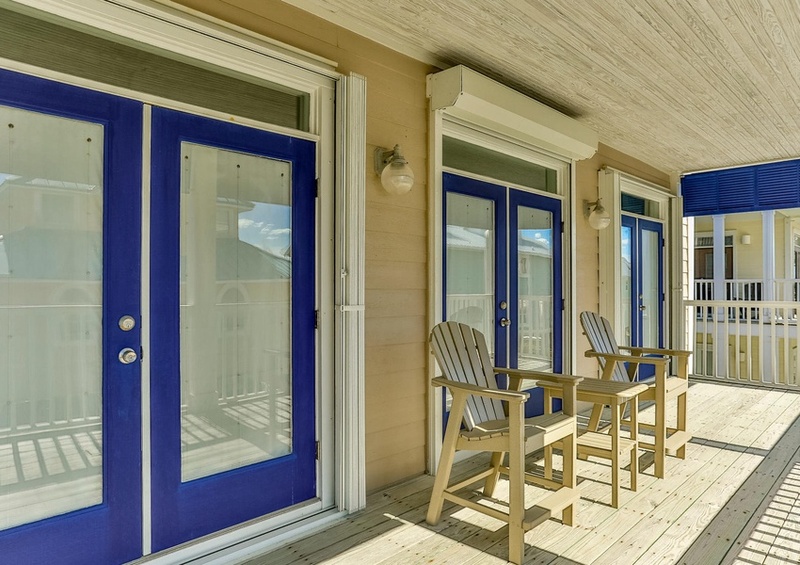 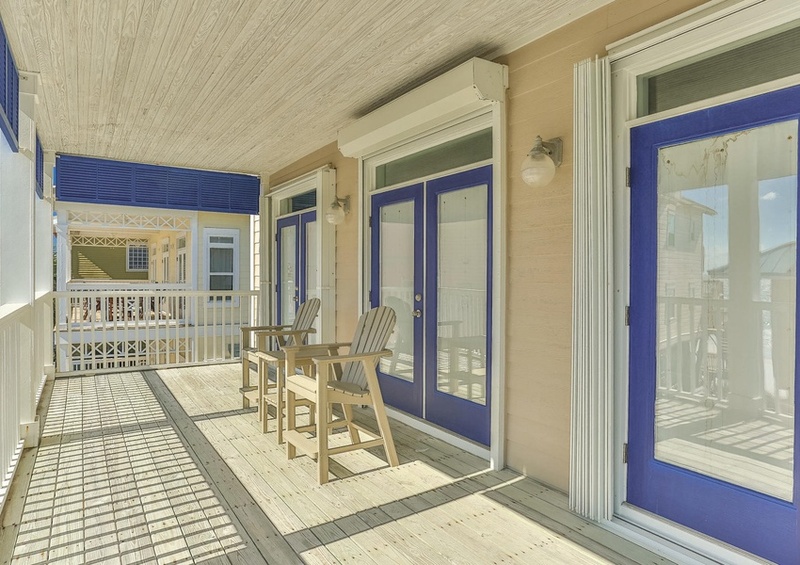 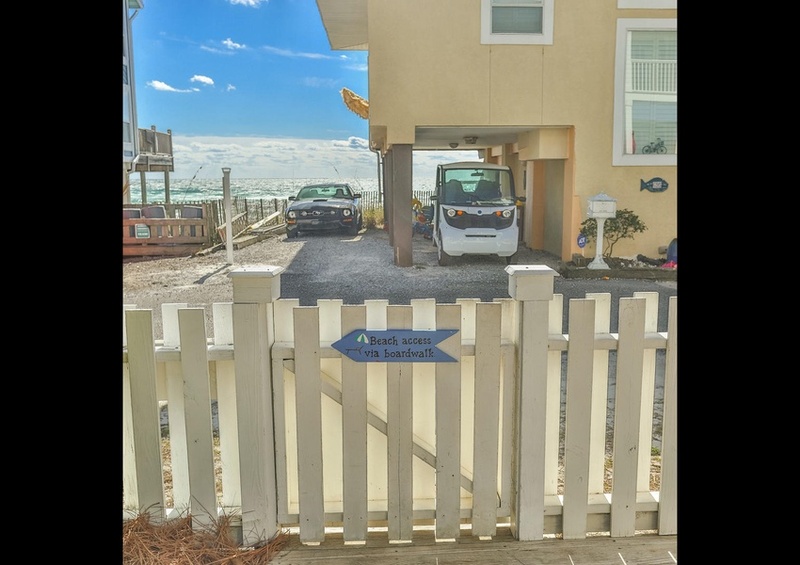 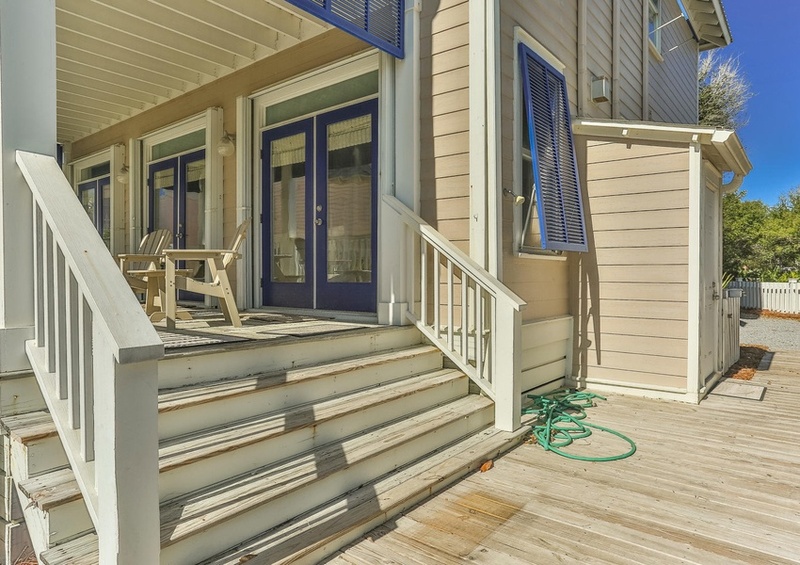 The entrance to the home begins your incredible experience of the perfect vacation home, and you’ll know it. 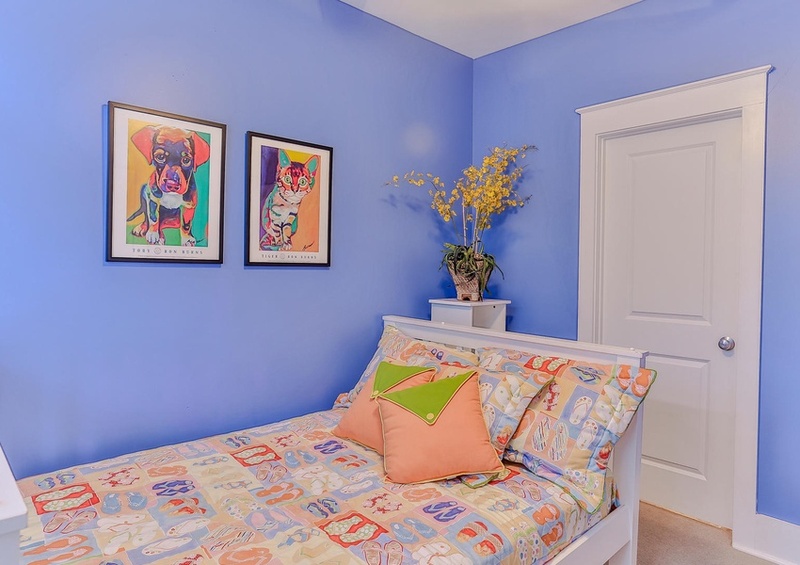 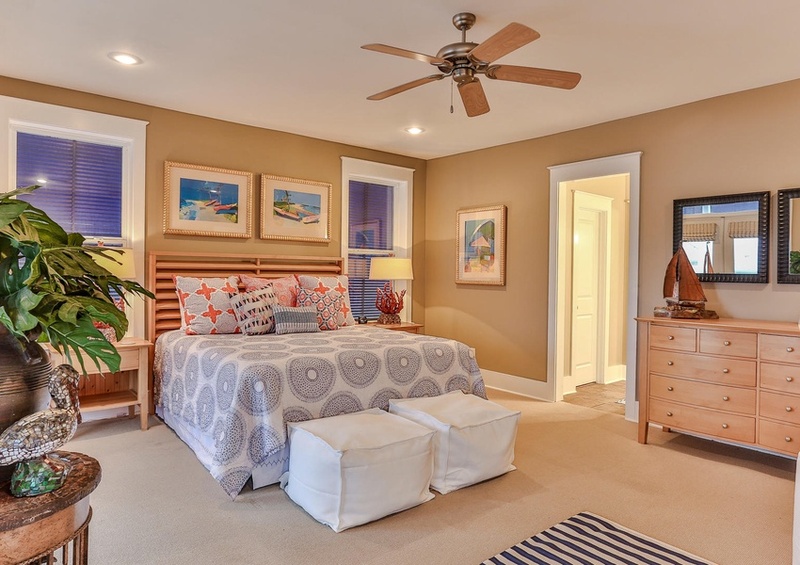 Enter downstairs and you’ll observe the second bedroom featuring a queen bed and a full bathroom. 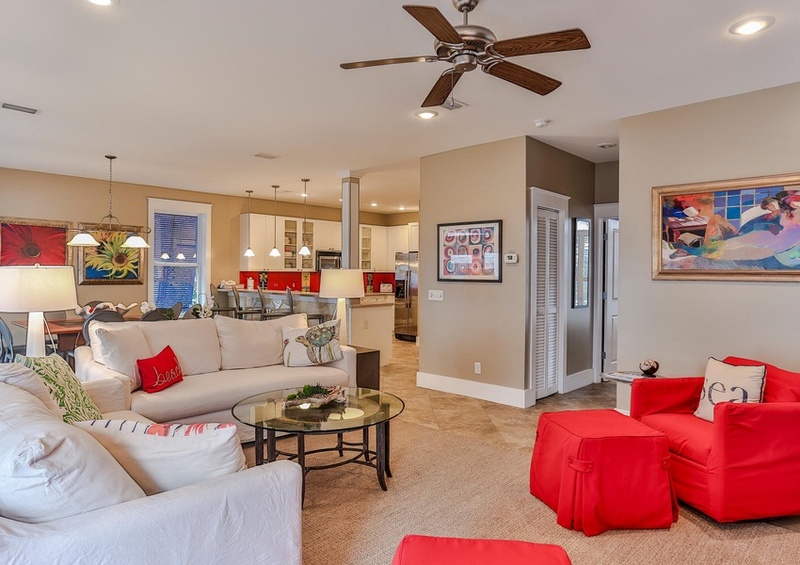 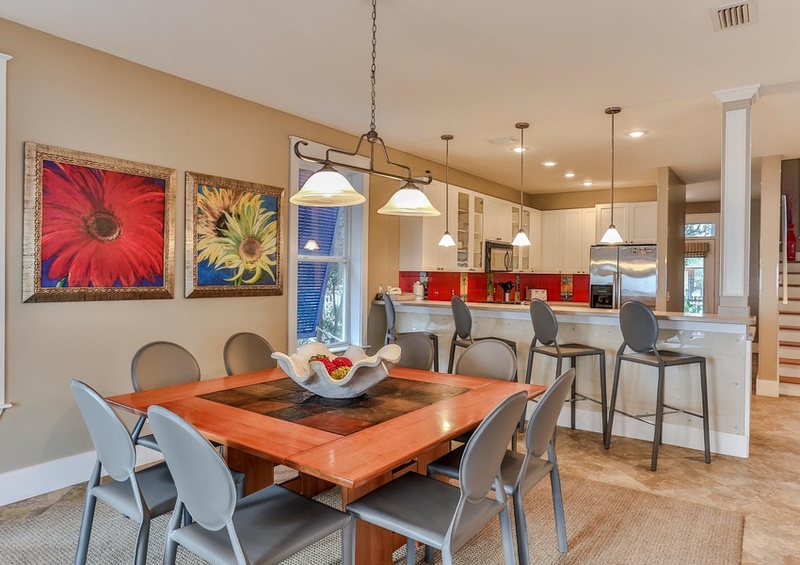 On the main floor you’ll be treated to your living room, kitchen, and dining room level complete with bright natural lighting that illuminates every room. 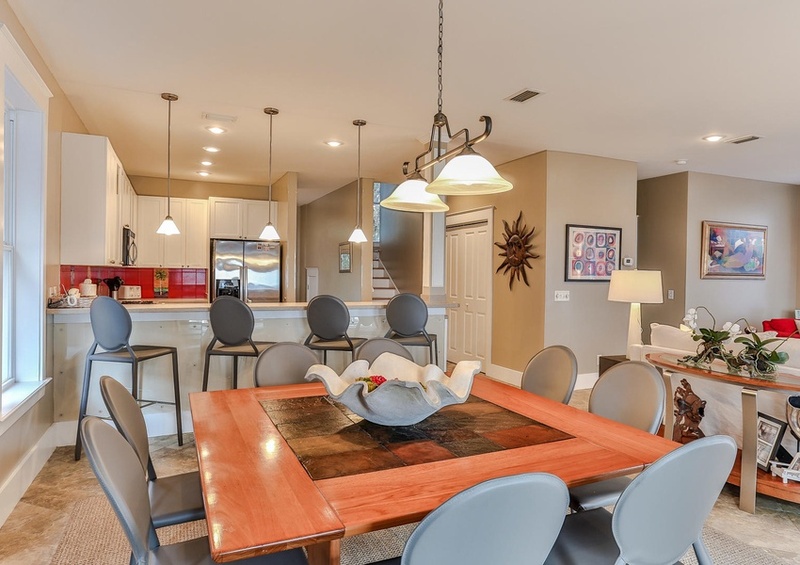 The dining room comfortably seats eight, plus another four at the breakfast bar. 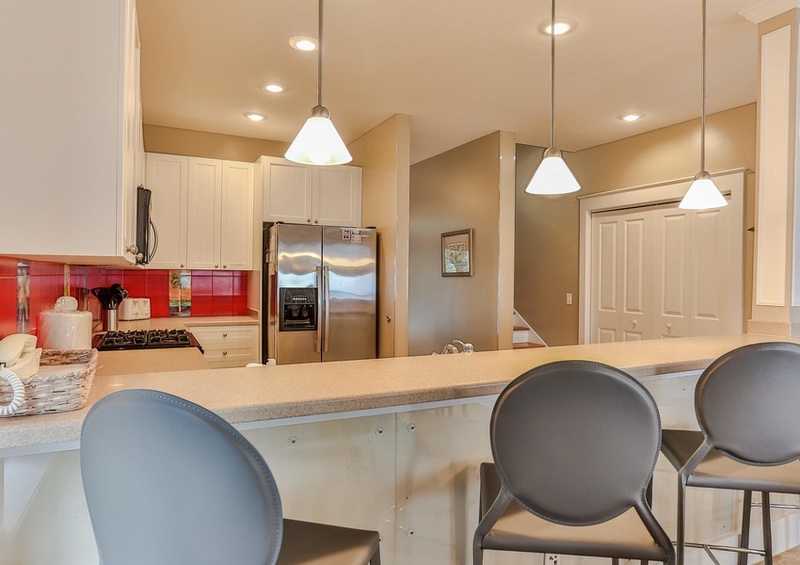 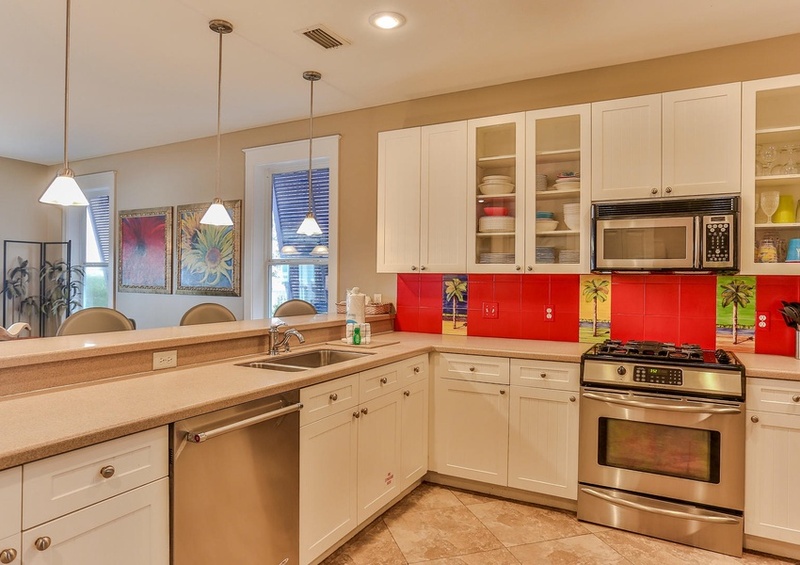 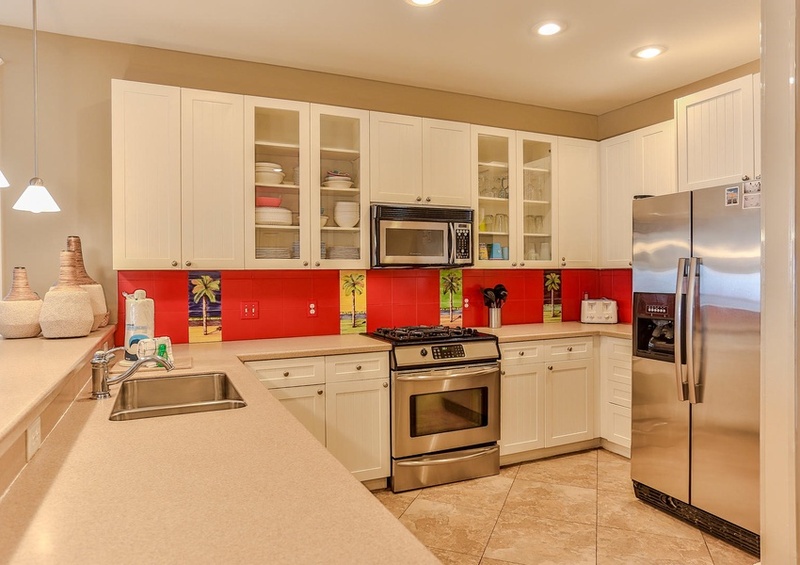 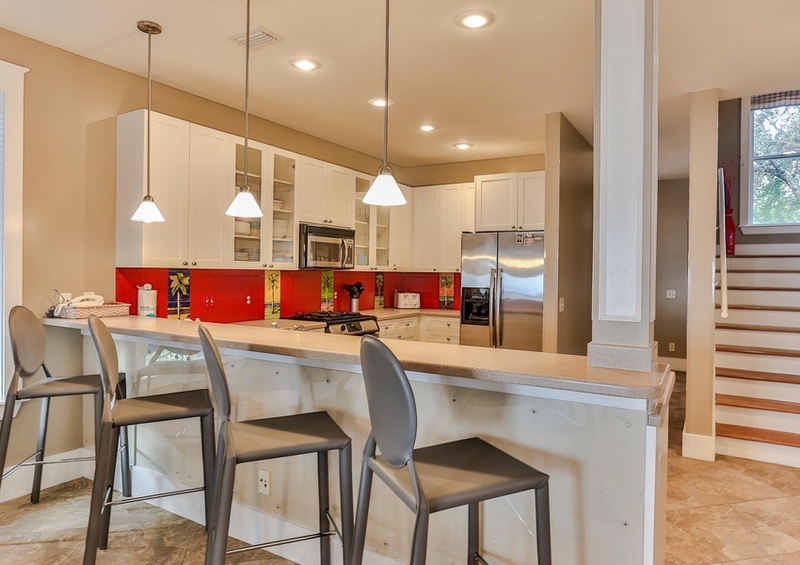 Stainless steel appliances adorn the kitchen and clear glass cabinet windows ensure dinner prep is a cinch. 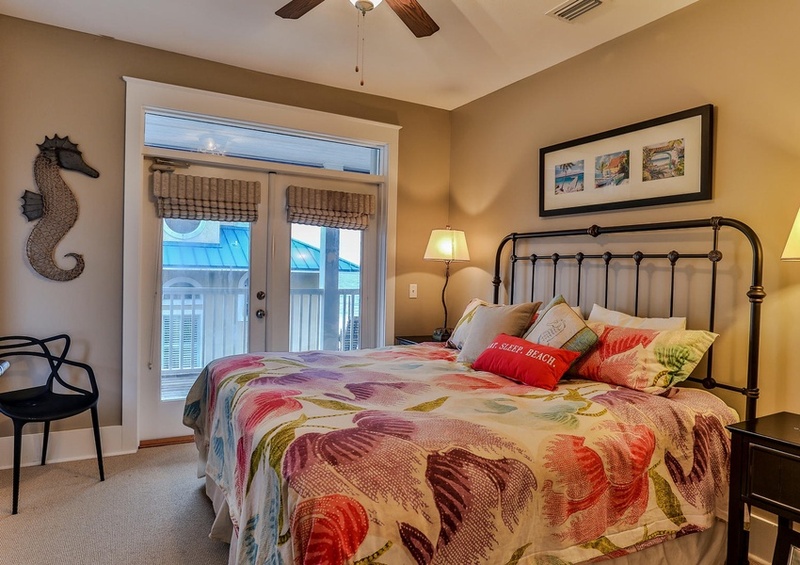 The second floor also is home to the third and fourth bedrooms with king and full beds respectively. 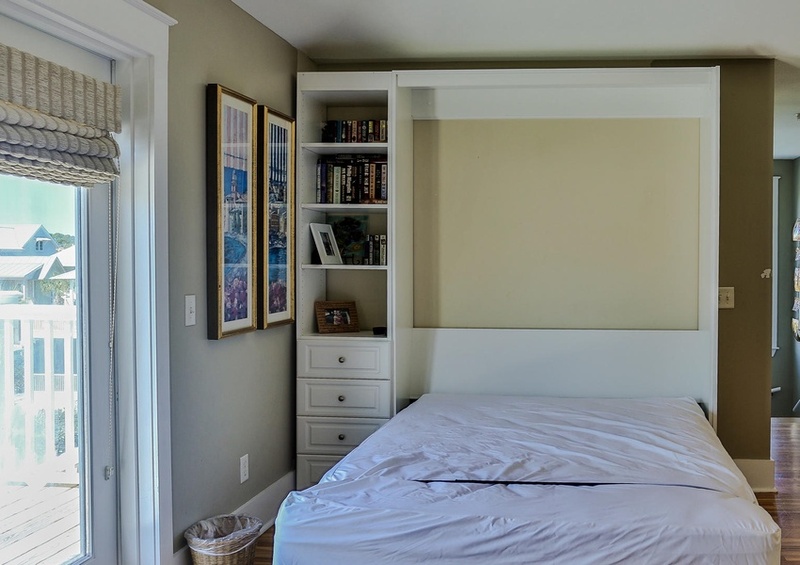 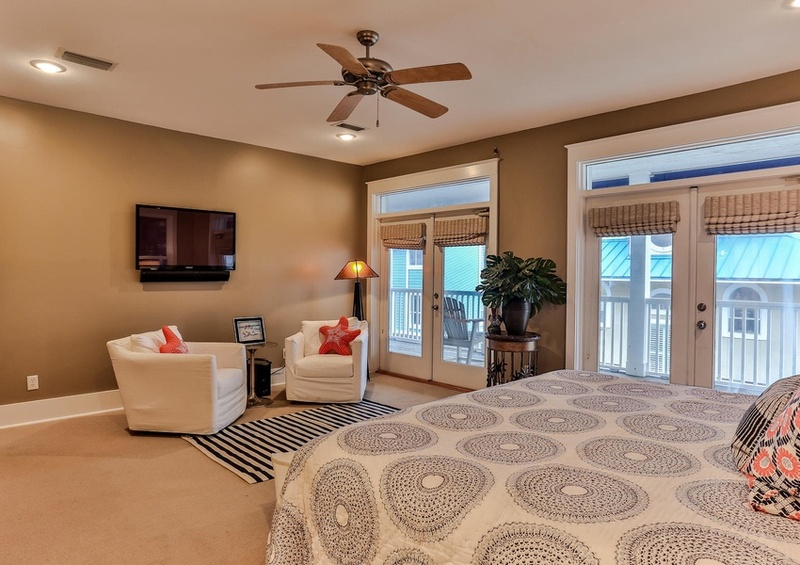 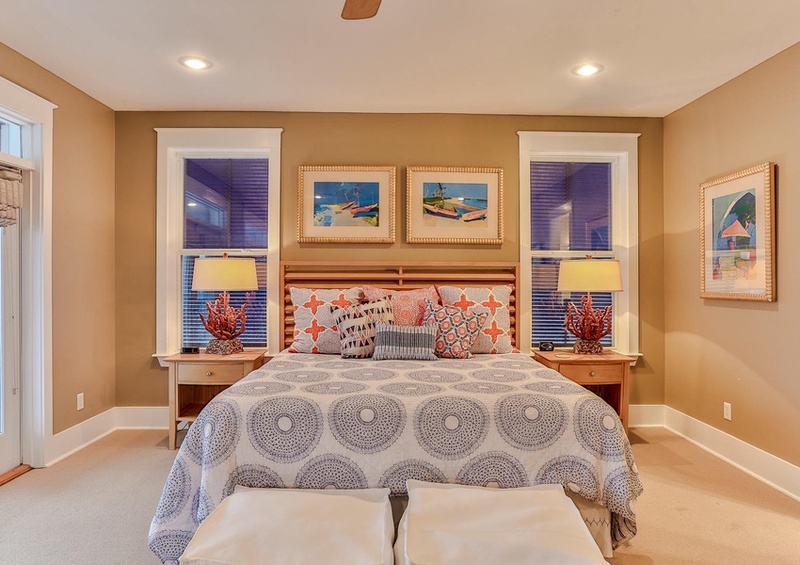 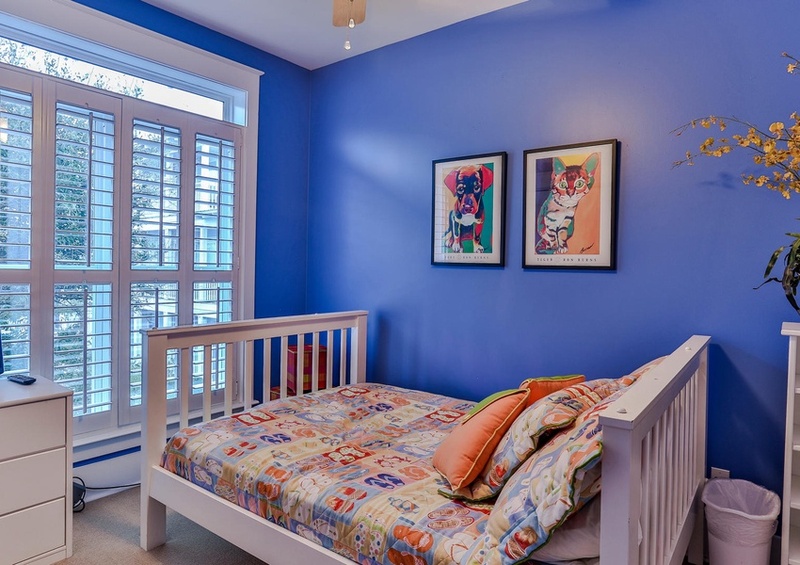 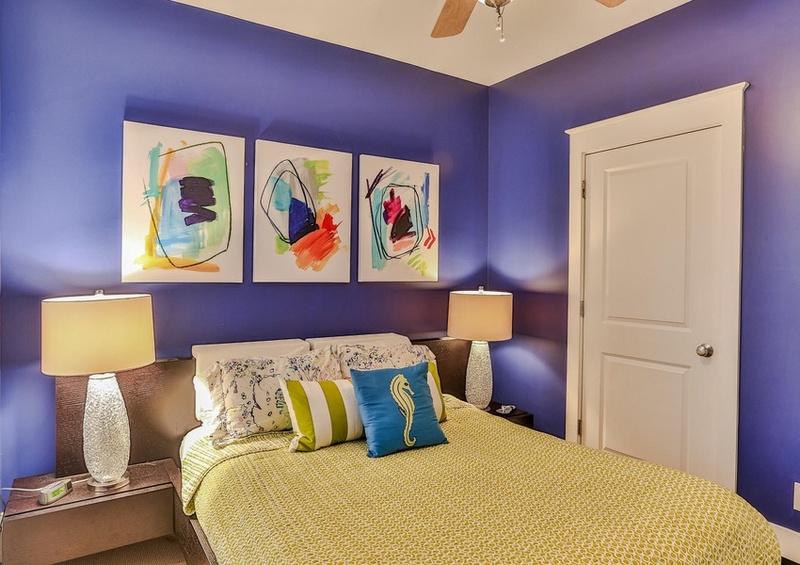 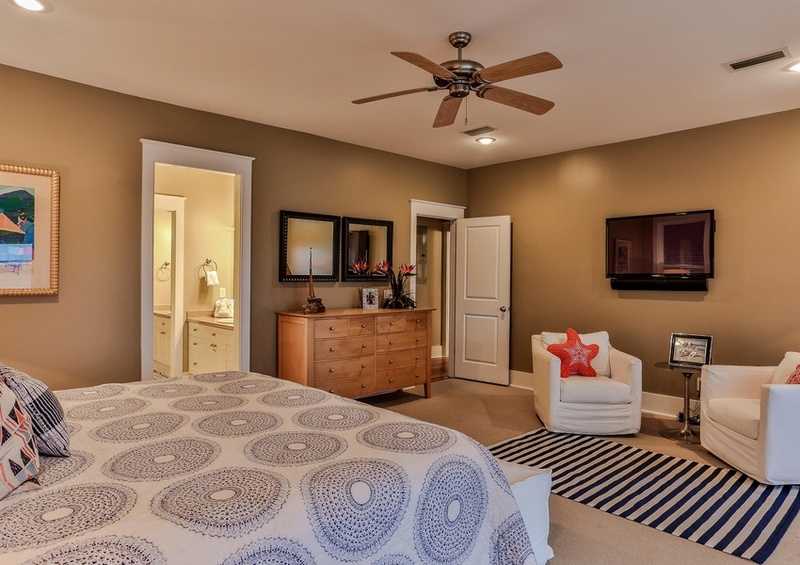 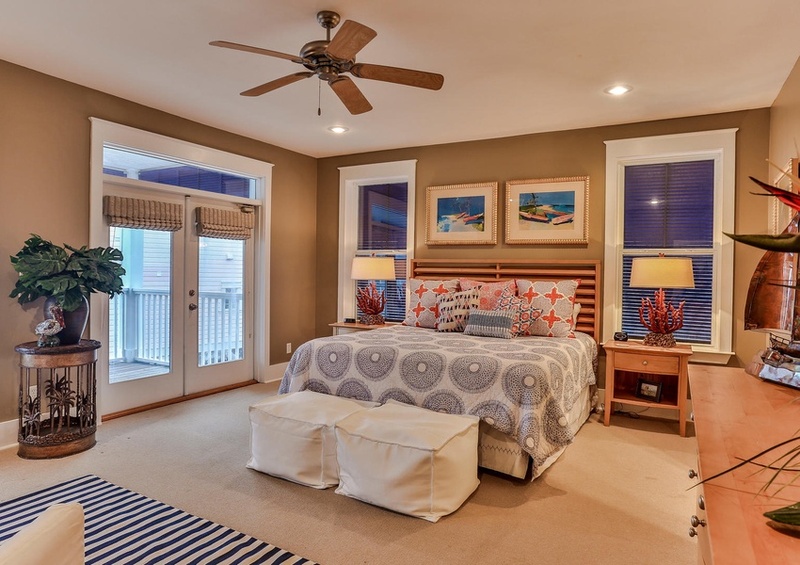 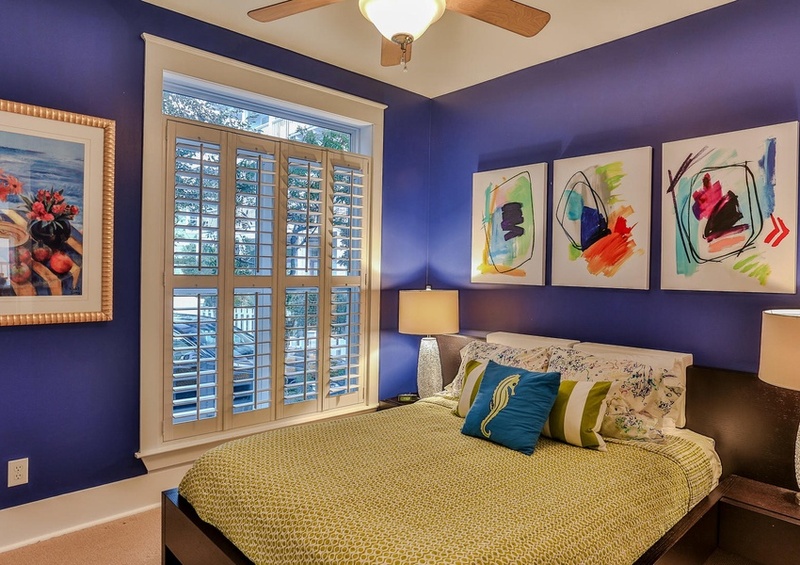 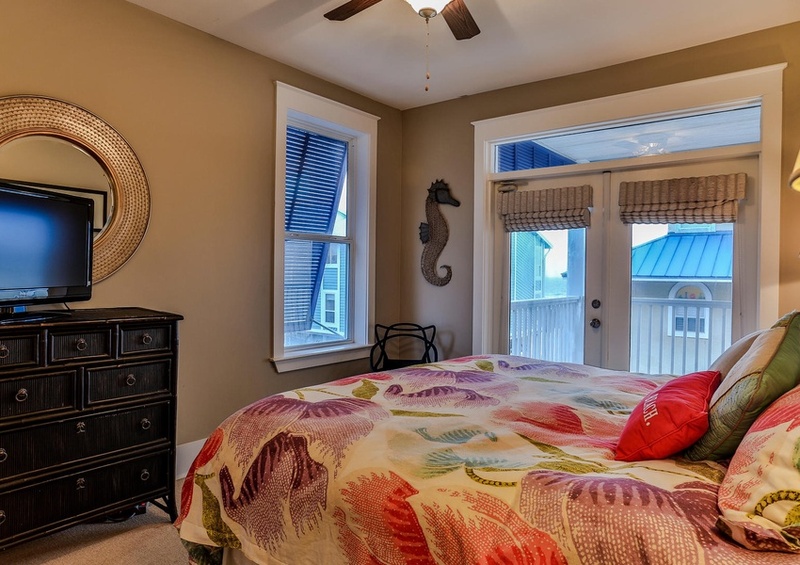 Here also lives the master bedroom, complete with two sets of gorgeous french doors which open to a private patio. 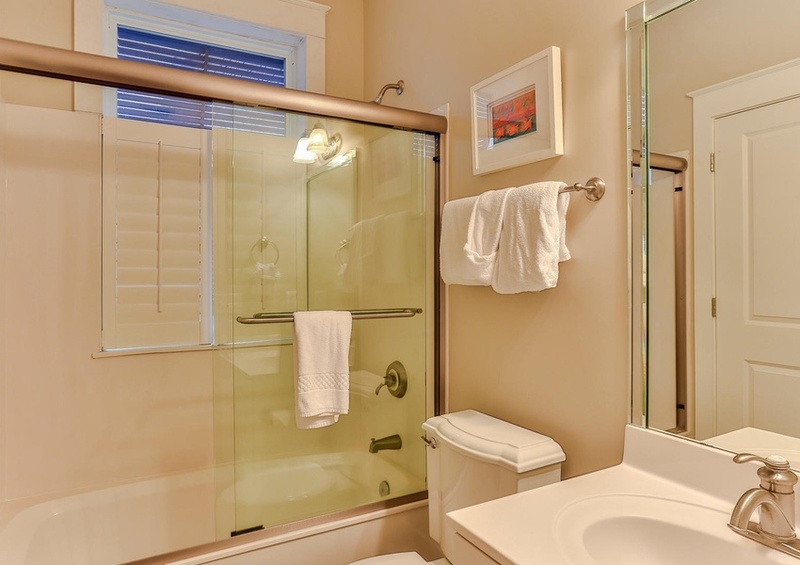 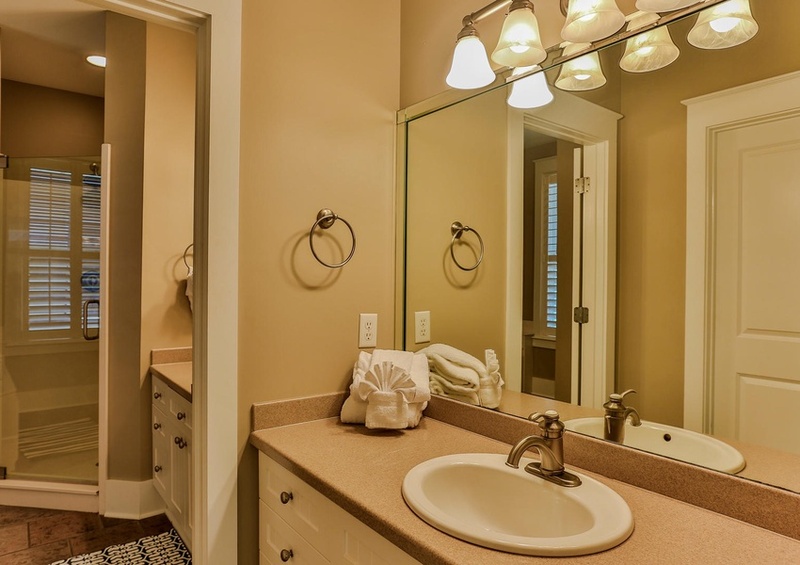 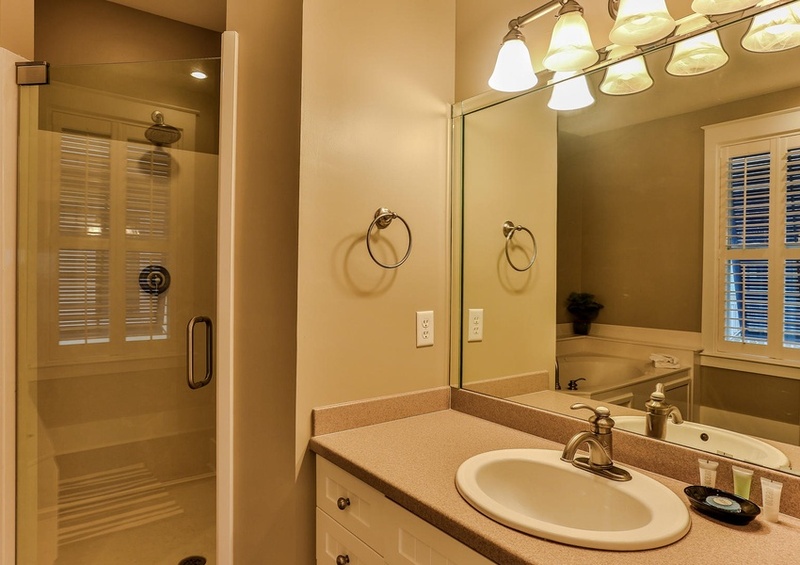 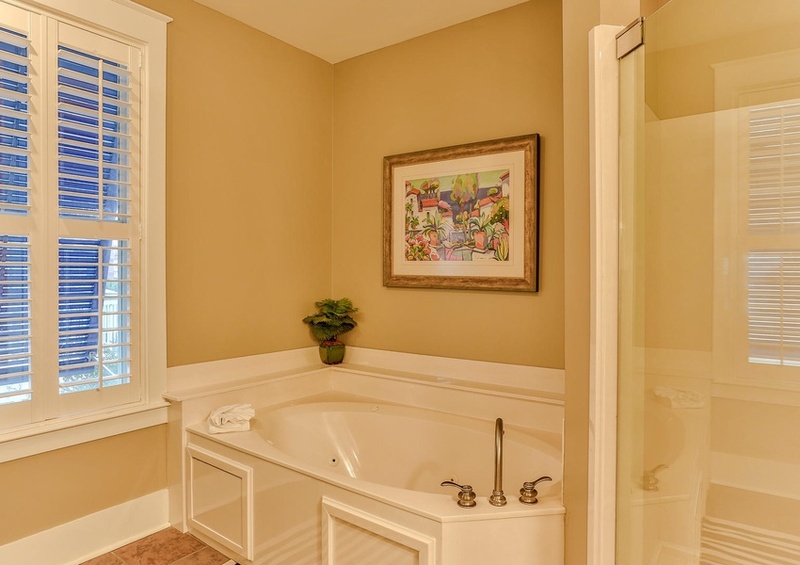 Natural light flows through the room as a result, right into the elegant master bathroom. 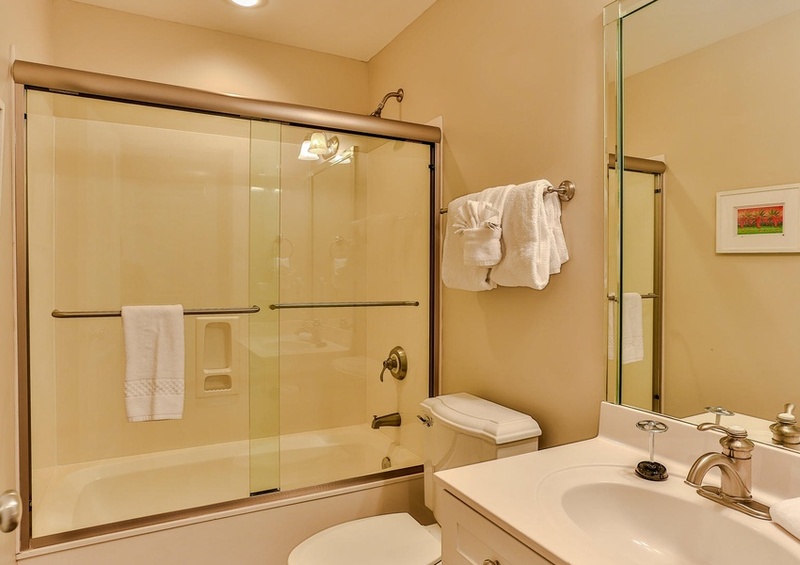 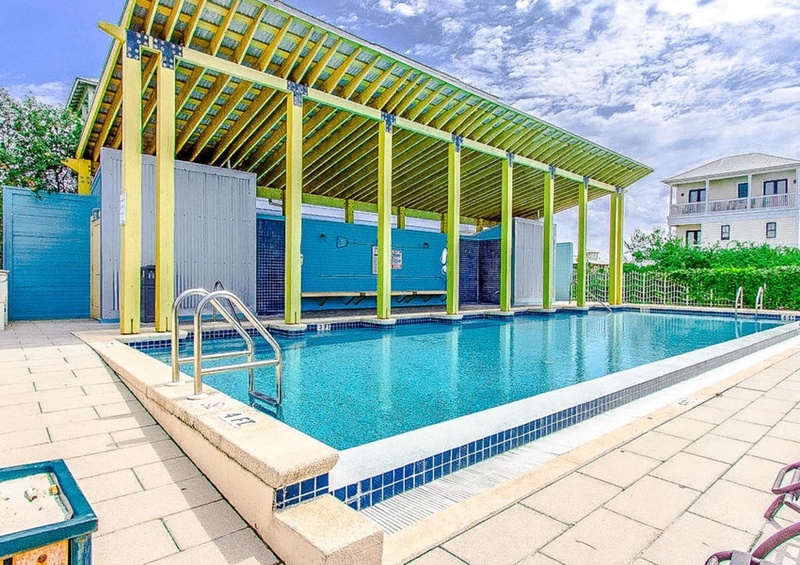 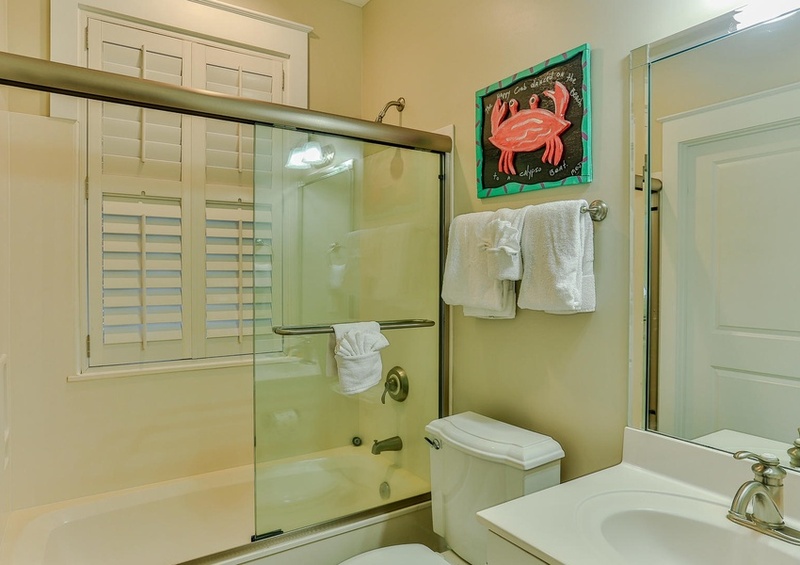 A large whirlpool bathtub, walk-in shower, and double vanity will ensure you’re as comfortable as you can possibly be. 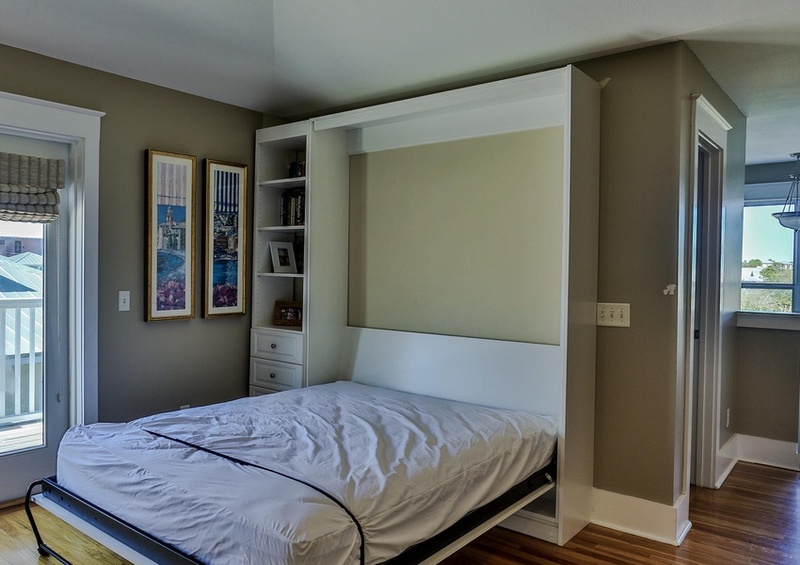 The tower room hosts a Murphy bed and sleeper sofa, both appropriately equipped with queen beds. 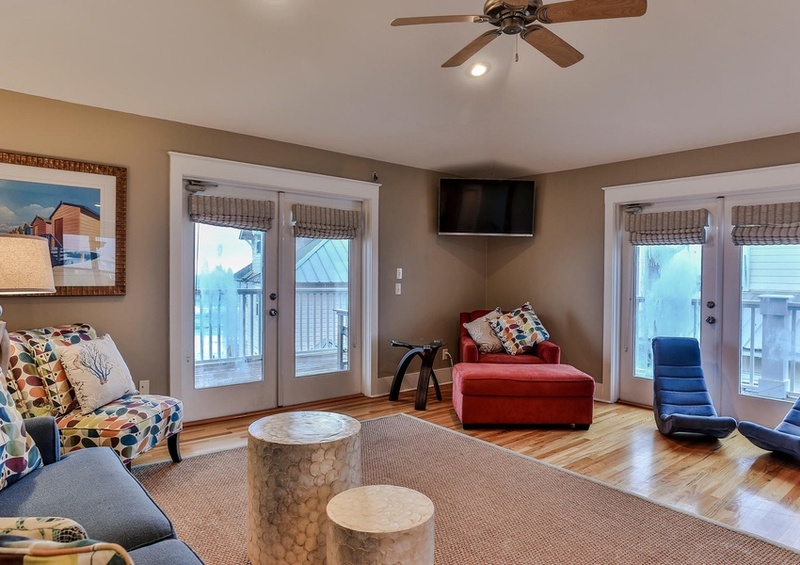 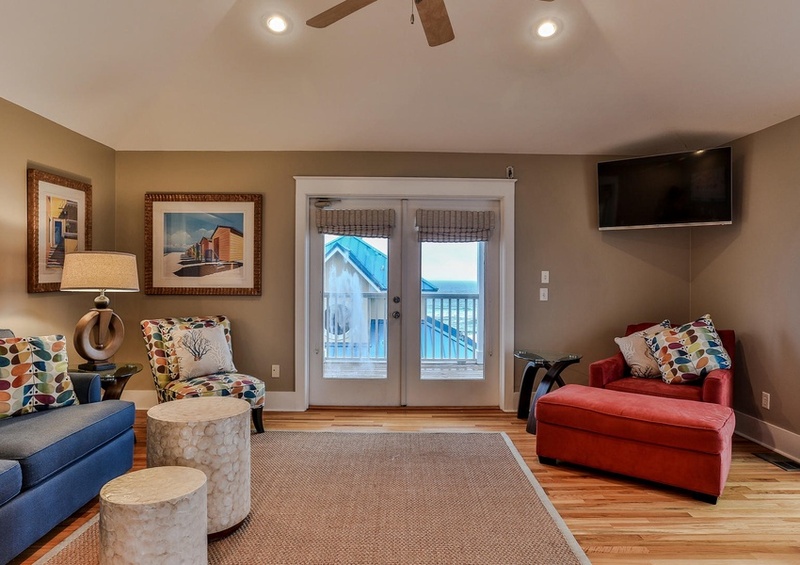 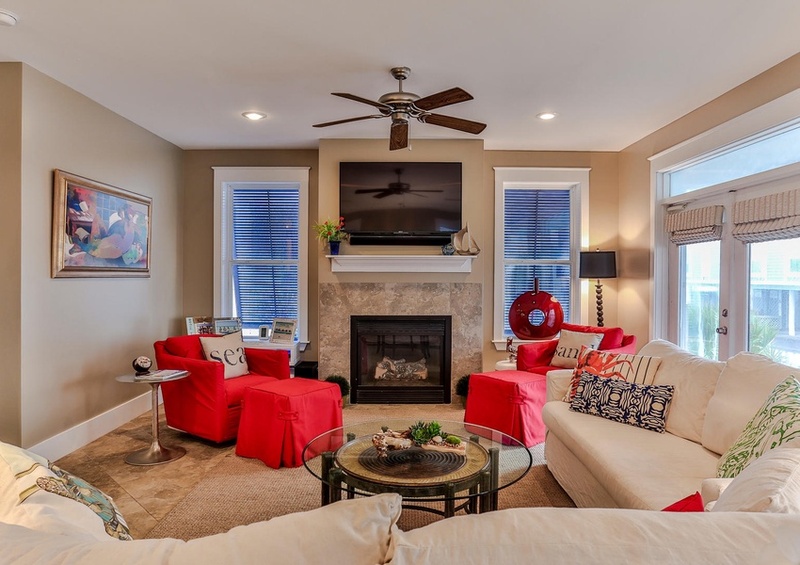 Double french doors and a large flat screen television ensure that your eyes are delighted at all times, even if the weather isn’t cooperating. 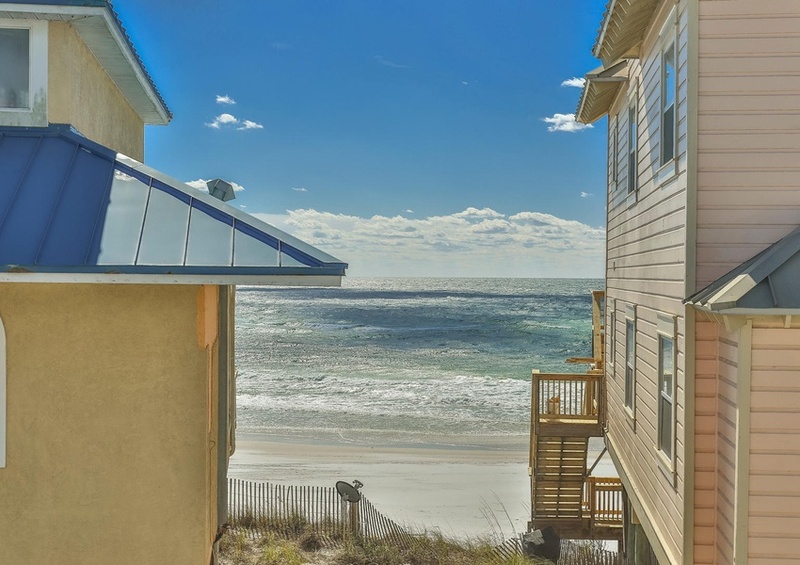 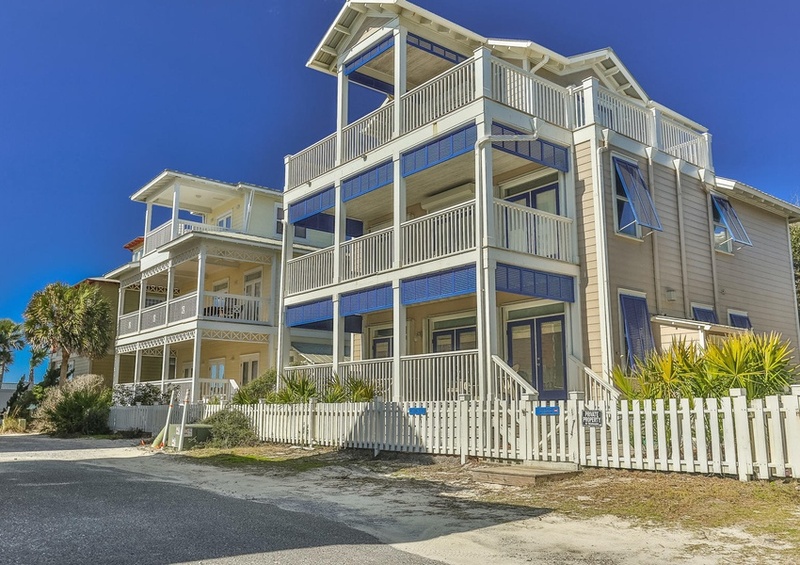 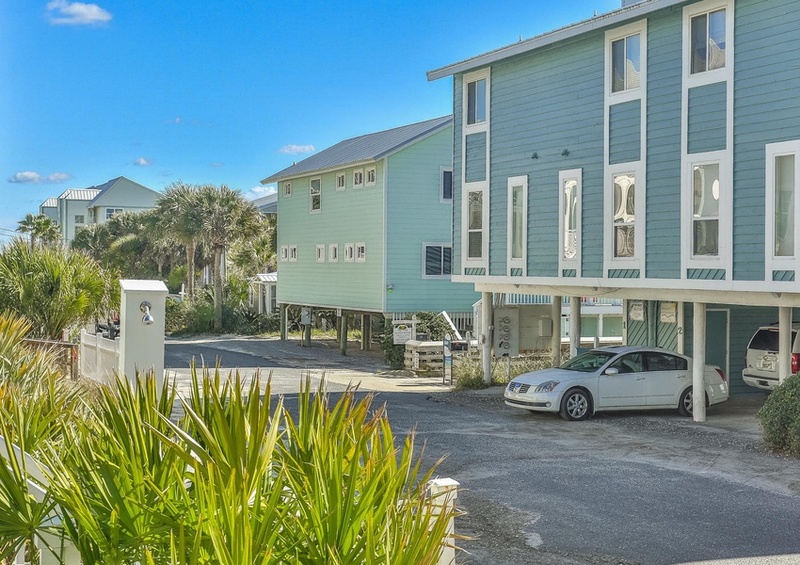 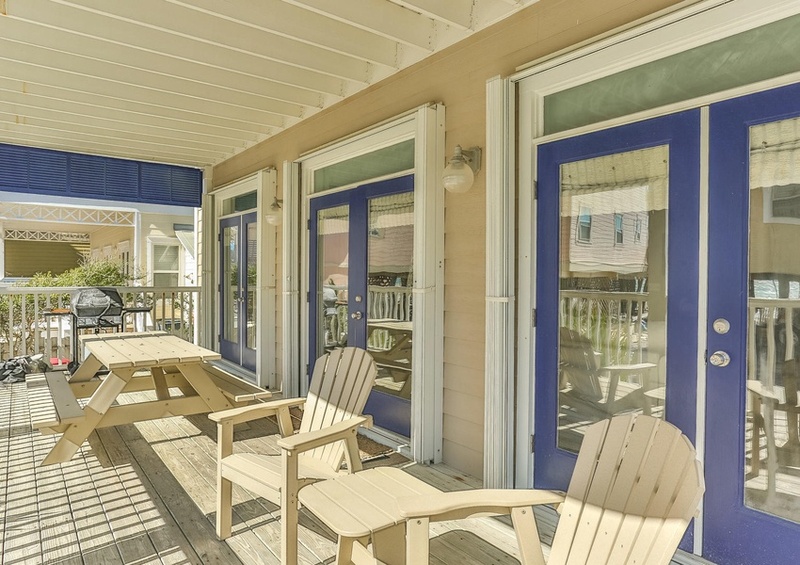 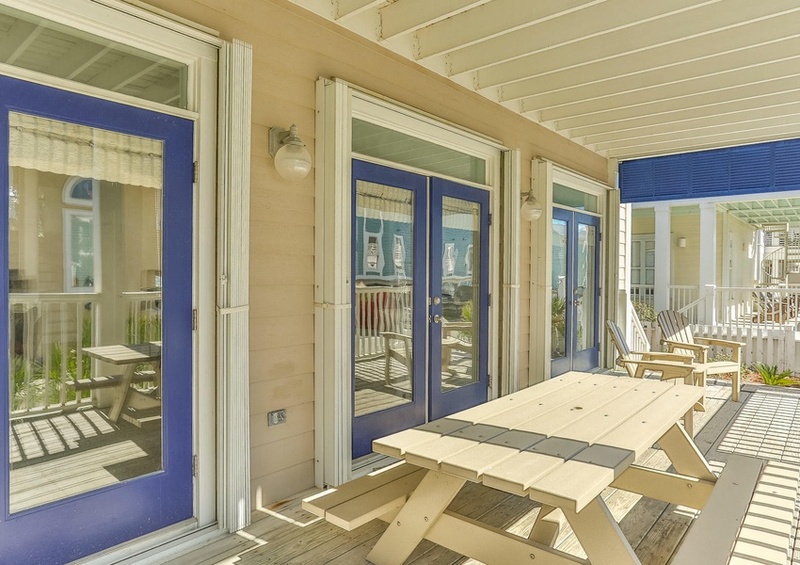 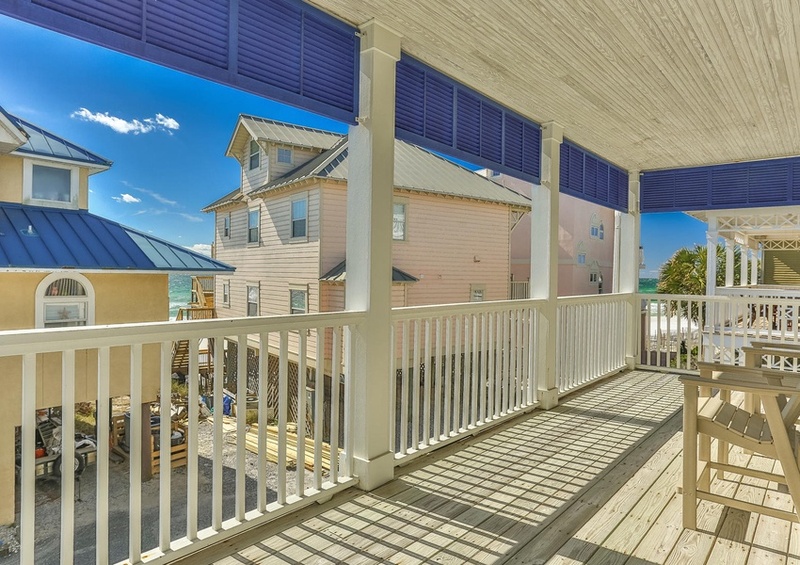 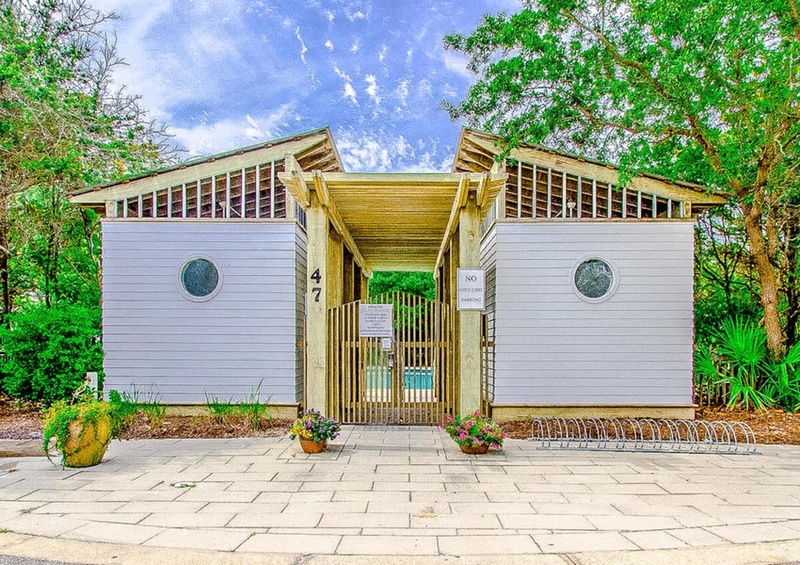 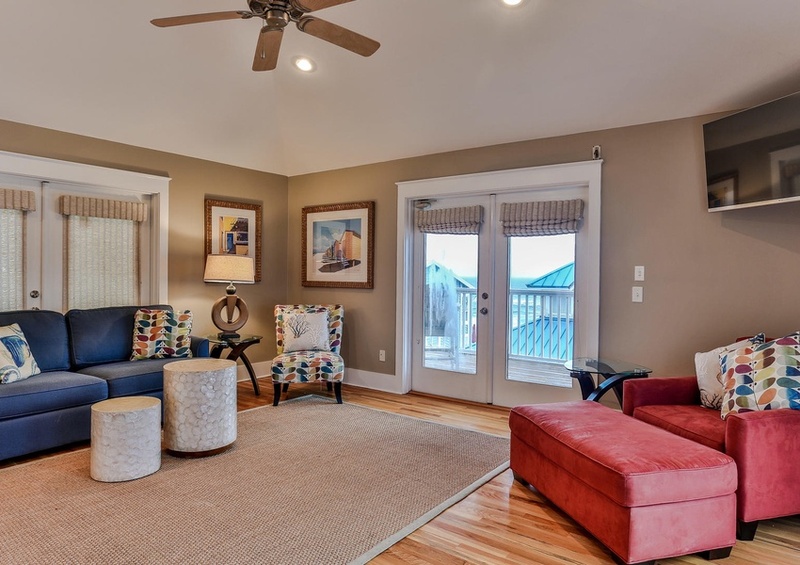 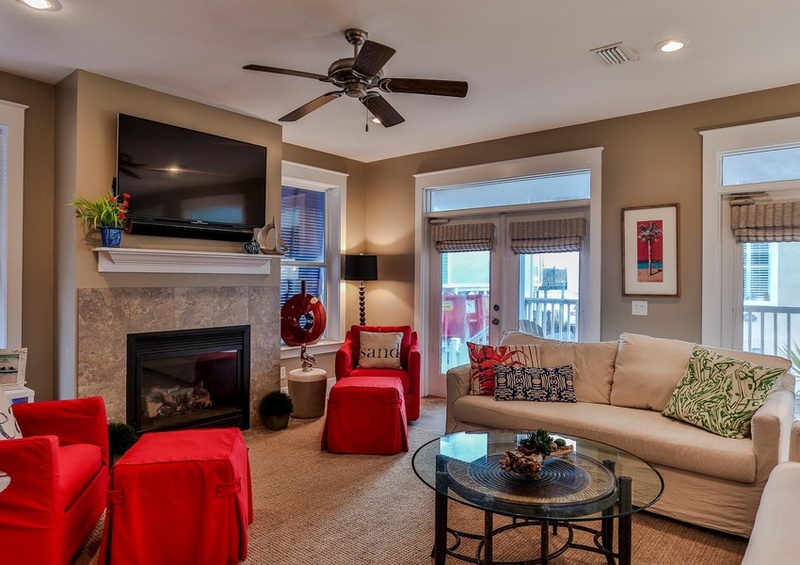 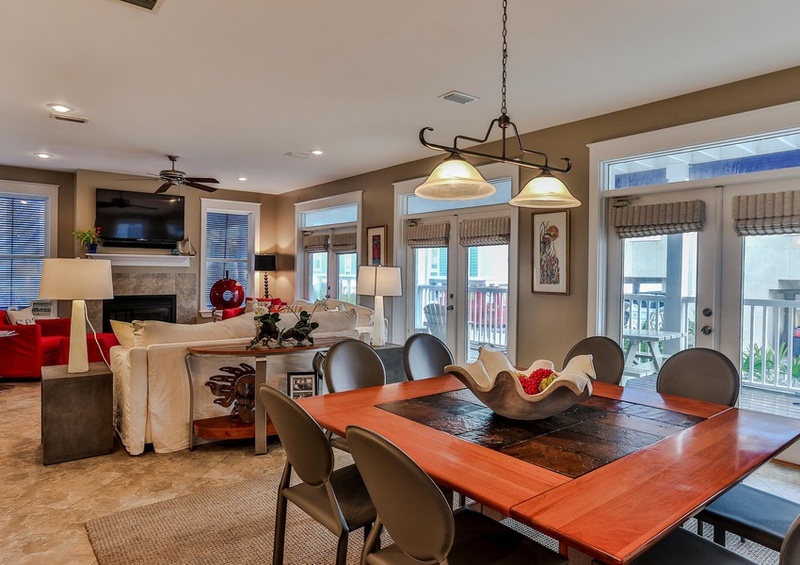 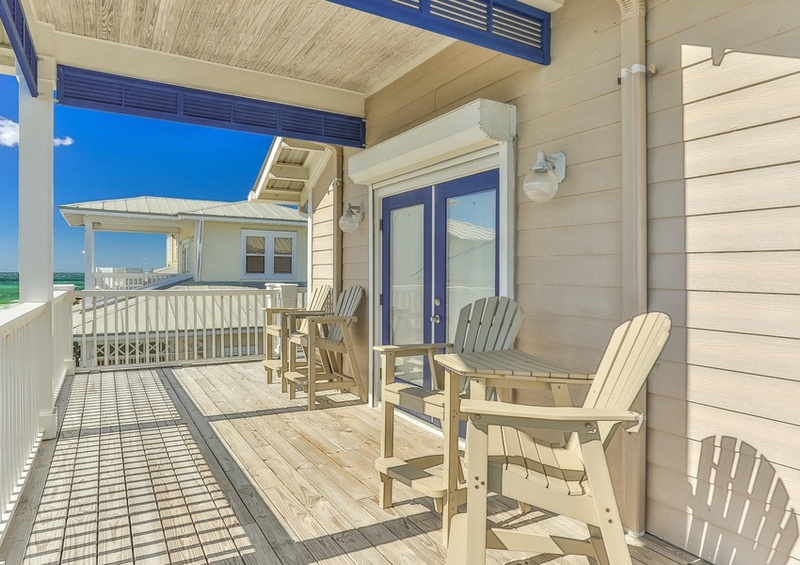 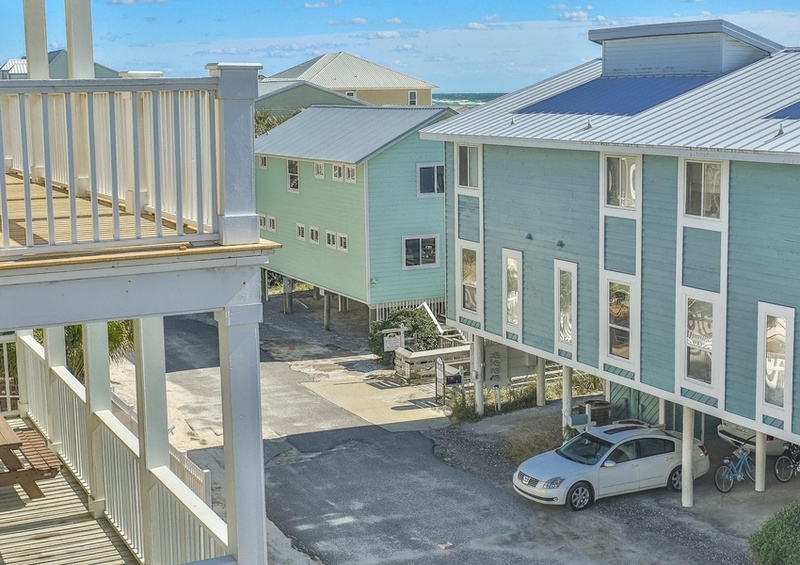 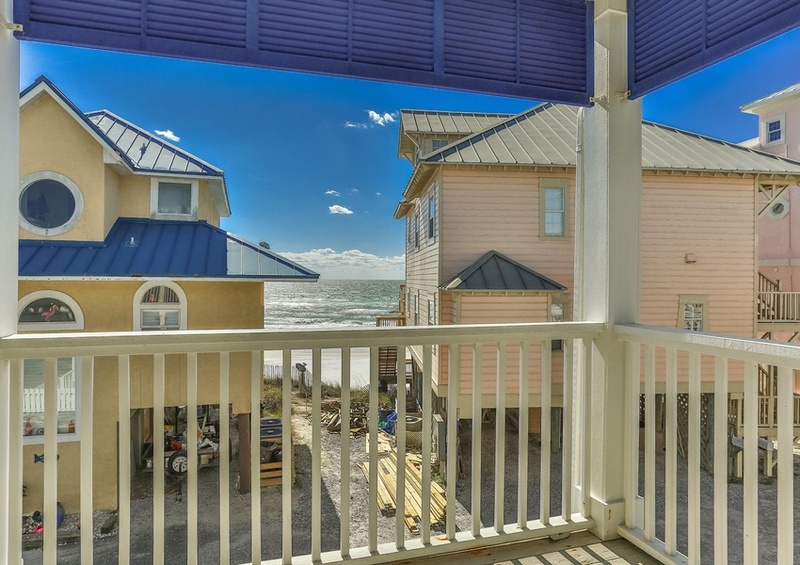 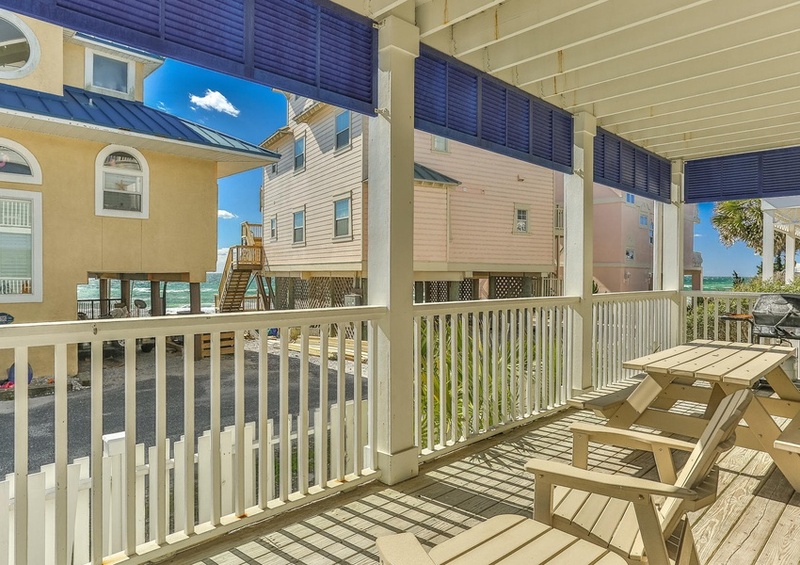 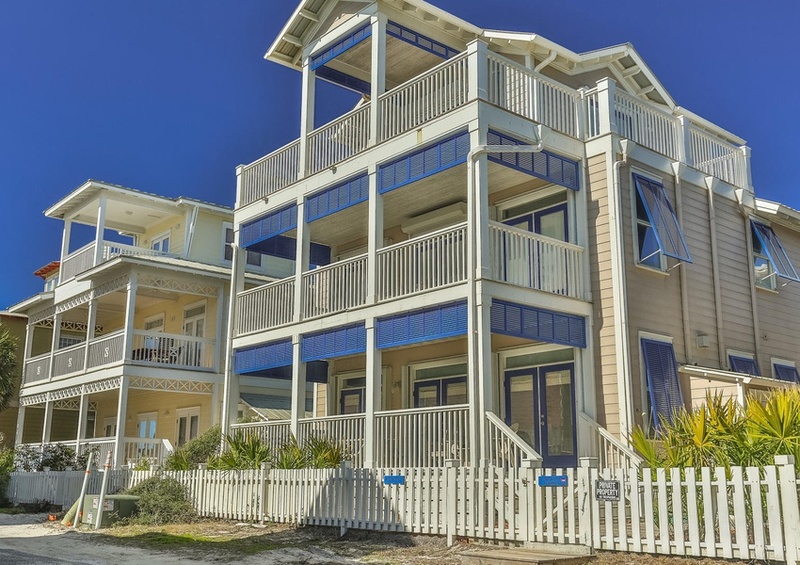 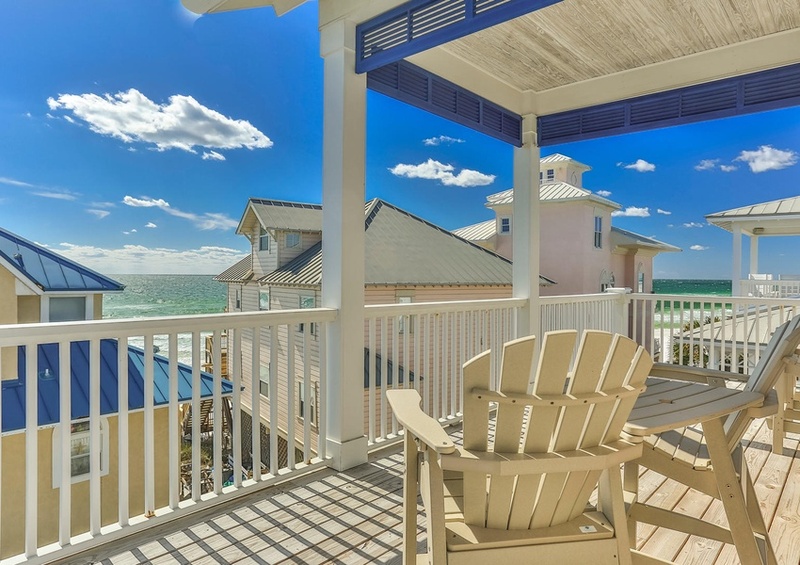 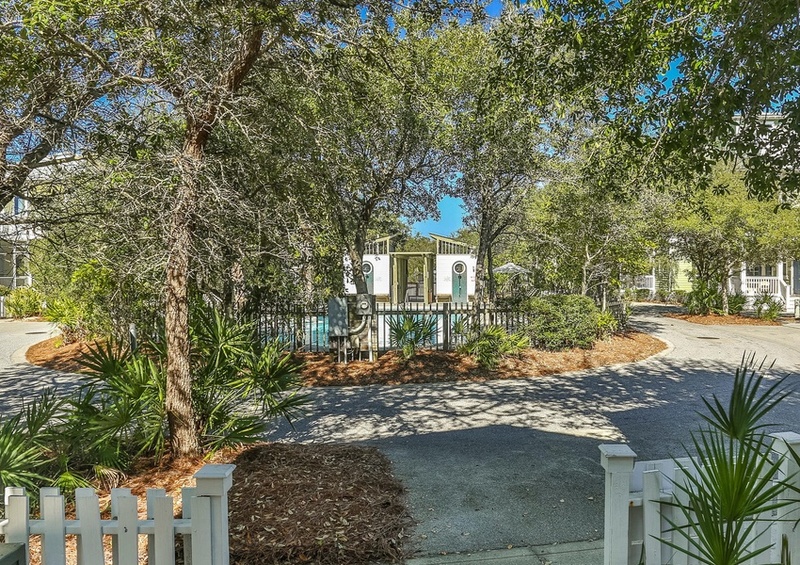 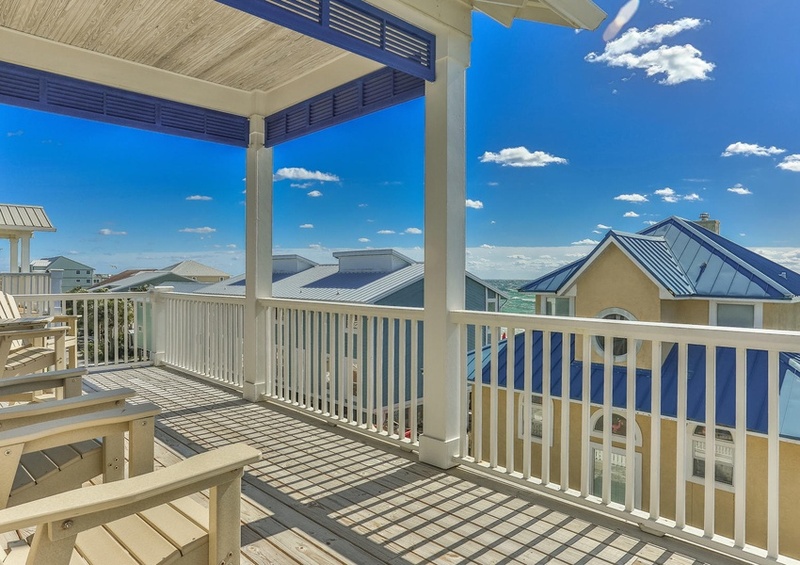 You’ll be sure to find just the right sweet Southern experience in this dream vacation home! 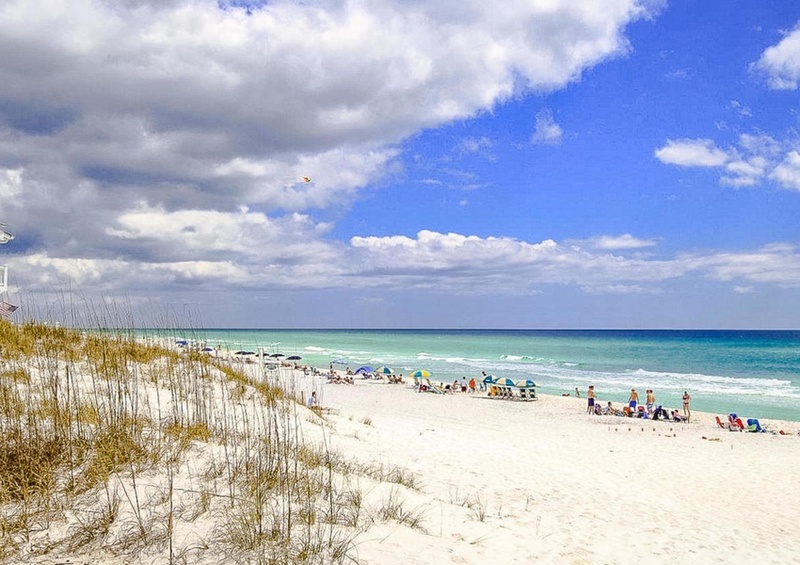 Don’t forget to add one of the many exciting local events to top off your dream vacation and book All About The Twins by Southern today!